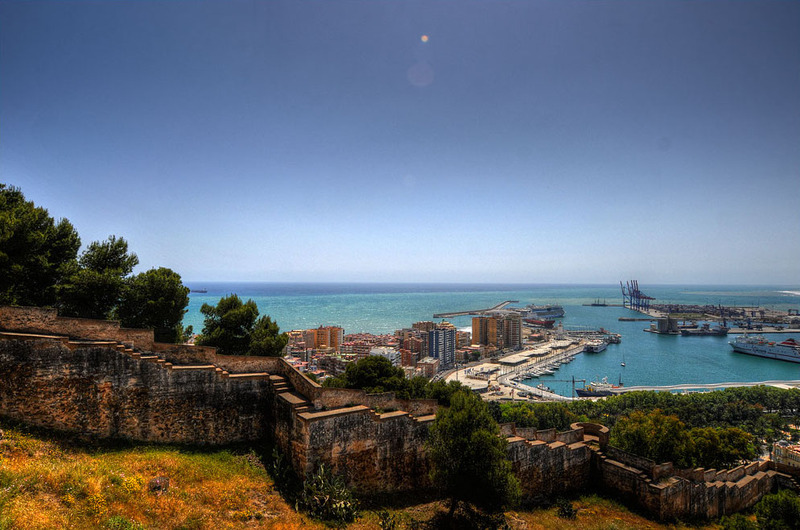 Its location on one of the world’s most beautiful coastlines makes Malaga an unbeatable city for a warm spring break. Temperatures range from the mid-20s (77°F) to the early 30s (90°F) at this time of year, meaning it’s the perfect season to explore the city’s port, beaches and botanical gardens – to name just three of its key attractions. For those who tire quickly of the beach but who like being by the sea, Malaga’s port is a wonderful place to spend a spring morning or afternoon. 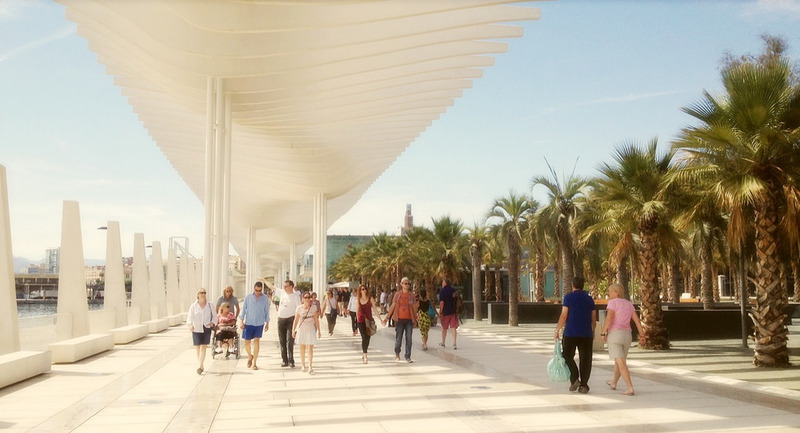 Malaga is the oldest continually used port in Spain (it’s been around since Phoenician times), and in recent years, it has received a costly and ambitious redevelopment, most notably with the addition of the balmy ‘Palm Garden of Surprises’ along the main promenade. This area is a lovely space in which to walk and watch the enormous luxury cruise ships coming and going as they voyage around the Mediterranean. At the far end of the Palm Garden, near Malaga’s historic bullring, the Paseo del Muelle Uno is another lively thoroughfare packed with bars and restaurants that lead to the Málagueta beach. It’s also home to one of the city’s most exciting art galleries and museums, the Pompidou Centre, which features a giant transparent cube on top of its structure. Temperatures in Malaga throughout spring are quite warm, making it the perfect weather in which to explore the delightful old town. The spacious boulevard of Calle Marques de Larios, situated directly opposite the port and about a 15-minute walk from the bus and train stations, is the gateway to this trendy yet typically Andalusian district. 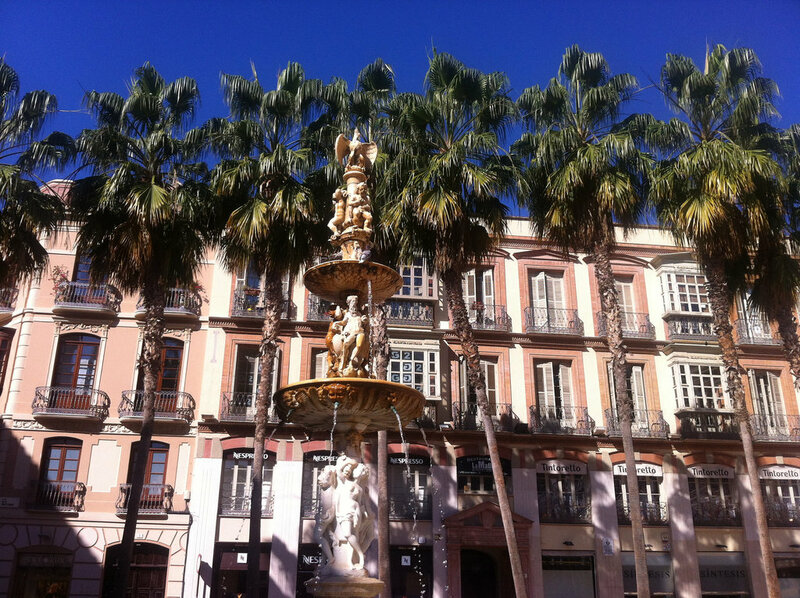 Lined with designer shops and smart cafés and tapas restaurants, it leads up from the port area to old Malaga’s biggest square, Plaza de la Constitución. Throughout the spring and summer, fashion shows and concerts are staged on this spacious, palm tree-lined plaza, making it an excellent spot in which to enjoy a little live entertainment before wandering up Calle Granada to explore the rest of the old town. 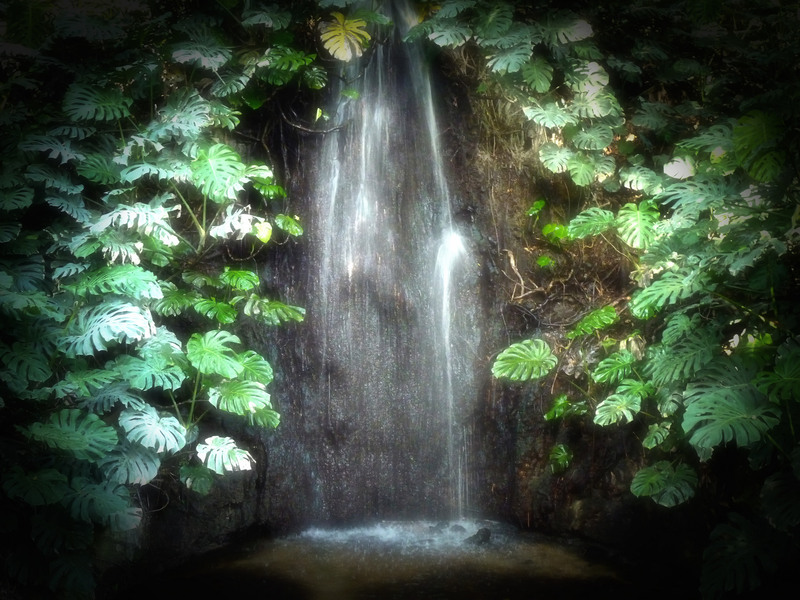 Particularly beautiful in spring are Malaga’s botanical gardens, situated in the nearby suburban quarter of ‘La Concepcion’, about a 15-minute bus ride from the centre. The gardens, dating from the mid-19th century, display fauna and flora, trees from five continents, over 49 hectares of tropical forest and 23 hectares of botanical gardens. Throughout spring, the gardens come alive with the colours and scents of all these exotic specimens in bloom, making it perfectly possible to believe you are in some faraway, tropical land rather than on the outskirts of one of Europe’s most popular cities. Particularly notable are the garden’s collection of palm trees, some of which are over one hundred years old, as well as a 400-year-old olive tree. If the spring sun gets to be a little too much for you whilst you’re exploring Malaga, the beach is never far away. 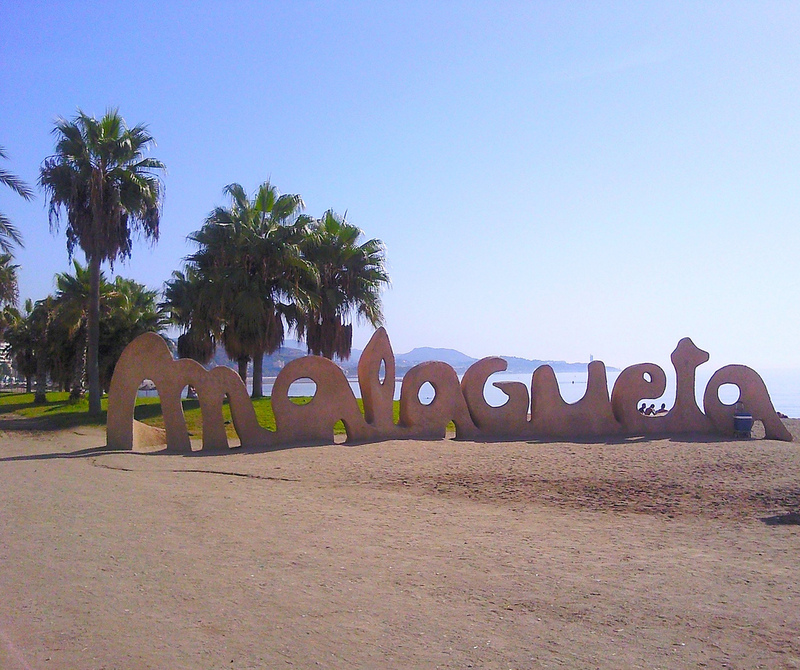 The Playa Malagueta is the closest of them all, about a 10-minute walk along the restaurant-lined Paseo del Muelle Uno at the east end of Malaga’s great port. Its half-mile (0.8-kilometre) stretch of fine sand provides an ideal setting for catching some Andalusian sun rays and taking a cool dip before lunch or drinks in one of the many wonderful seafood restaurants and bars on Muelle Uno. A little further eastwards is Playa Caleta, another superb city beach known for being the most well maintained in the area. Despite their proximity to Malaga’s busy city centre, neither the Malagueta or Caleta feel closed in or polluted, and from their clean sands, you can take in the beautiful views of the rough, mountainous terrain that surrounds Malaga. For those who quickly tire of sunbathing, there are plenty of chiringuitos in which to drink a cold beer and eat fresh seafood. There are few better vantage points from which to enjoy the beauty of a spring day in Malaga than the turrets of the Gibralfaro Castle. Built in the 10th century by the Caliph of Cordoba, the Sultan of Granada enlarged this formidable hilltop castle in the 14th century. The Gibralfaro is one of the best-preserved monuments in Andalusia and was once considered the most impregnable fortress in mainland Spain. Indeed, Catholic Monarchs Ferdinand and Isabella needed three months to take the castle from the Moors in the famous Siege of Málaga in 1487 – and even then, they only won because their besieged foes ran out of food and water. By surveying the steep, verdant hillside that surrounds the castle and the vast expanses of ocean in front of it, you’ll better understand why they had such a hard time kicking the original occupants out. With the arrival of longer days and the first really warm sun of the year, locals flock to Malaga’s countless open-air terraces to relish tapas and drinks. One of the very best spots for sipping a cold beer and sampling fresh fried fish (a speciality in Malaga) is the sun-drenched Plaza de la Merced, on which practically every establishment is a bar, café or restaurant with a big outside seating area. 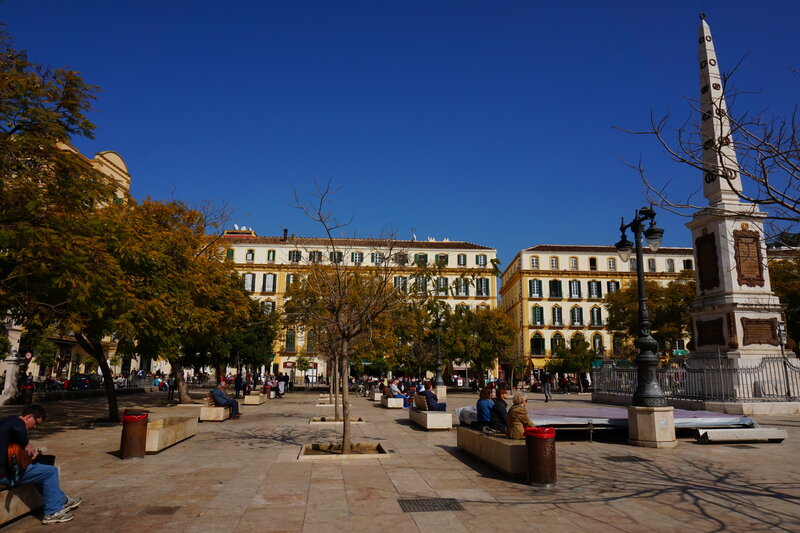 On this lively square, where Pablo Picasso was born in 1881, street artists are often found painting, sketching and performing, so you can enjoy a little live entertainment as you savour tapas and drinks in the former neighbourhood of Malaga’s most famous son.